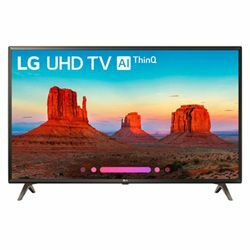 I had the opportunity to make comparison of models 2018 (UK6300) and 2017 (UJ6300) from the budget line of LG. 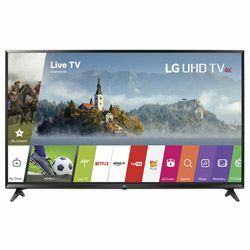 In LG 49UK6300 vs LG 49UJ6300 review I want to compare the functionality of different versions of WebOS. The 2018 model has WebOS 4.0 with ThinkAI, while the 2017 model on WebOS 3.5 has a picture-in-picture function. The LG 49UK6300 has low input lag and and minimum image delay. Blacks reproduced by TV appear gray due to the low contrast ratio. Due to the "RGBW" pixel structure, picture loses sharpness. It has a limited native contrast ratio but with a wide viewing angle. If you compare the LG 49UK6300 vs 49UJ6300 you will notice that the LG 49UJ6300 has an average picture quality. It has the low contrast ratio and the poor black uniformity. It has great reflection handling, but the limited brightness means it can't effectively overcome glare in a very bright room. 49UJ6300 can't produce saturated colors and has an average HDR peak brightness so HDR content doesn't stand out. The 49UK6300 has the Active HDR system, which can analyze incoming HDR signals and apply dynamic metadata to a picture on a time-lapse basis, thus optimizing the image quality of a given format. Thanks to technology TrueMotion, the 49UJ6300 has a short response time of a pixel of the screen. Both televisions run on the webOS platform. However, when comparing the LG 49UJ6300 vs 49UK6300, I need to indicate that the 2018 model works on a newer version of WebOS. In my LG 49UJ6300 vs LG 49UK6300 review, it should be noted that both models have similar functional design with no serious deficiencies. All inputs are located on the rear panel and may be difficult to access, in case of wall mounted. TVs are thick — at the base the thickness is about 3.1 inches. However, that main difference is that the 49UK6300 has glossy frames around the screen. And the 49UJ6300 has matte plastic display frames. The design of the LG 43UK6300 is a very simple, the whole one-piece body is made of plastic. There are no pronounced stylistic elements. The frames of the TV are slightly thicker than average and made of plastic. The LG UF630V casing is made of a plain plastic. There are no stylistic elements in the design. In my comparison LG 43UJ6300 vs LG 43UK6300, both TVs have the "frameless" screen which occupies 89% of the front panel. The built-in media player is great.The TV works well with all current video codecs. It does not always switch the HDMI channels between themselves. It is necessary to restart the TV. A cheap RGBW matrix with poor black transmission is used. It has no problem with the conversion, works well with any codecs. The TV has no problems working with flash drives and HDD. The built-in speakers will not be enough for the single home theatre using. The UJ6300 does not have a local dimming feature.